Eintracht Frankfurt’s Mexico centre-back Carlos Salcedo has turned his loan move from Chivas into a permanent deal, signing with the Eagles until 2022. Salcedo, who has also turned out for Real Salt Lake and Fiorentina, followed compatriot Marco Fabian to the Commerzbank-Arena last summer on a 12-month loan deal, and is loving life at the club and in the city, claiming earlier in the season that he wanted to make his move permanent. Salcedo started 17 of Die Adler’s Bundesliga games in 2017/18, coming off the bench a further three times, to form a constituent part of a defence that for long periods of the season was the second-best in the league behind champions Bayern Munich. It’s a foundation Salcedo thinks the club can build upon. 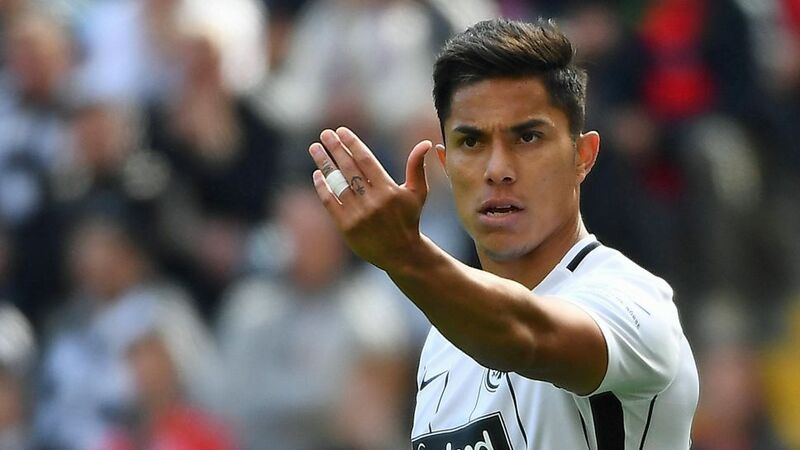 The club's sporting director Bruno Hübner sees the Mexican himself as a foundation upon which Eintracht can build their defence: "Carlos is a player with a strong presence, good ability to build up play and the necessary robustness. Despite his shoulder injury, he's returned to fitness quicker than thought because he worked really hard on his recovery and showed his professionalism. He's an important pillar in our defence going forward."